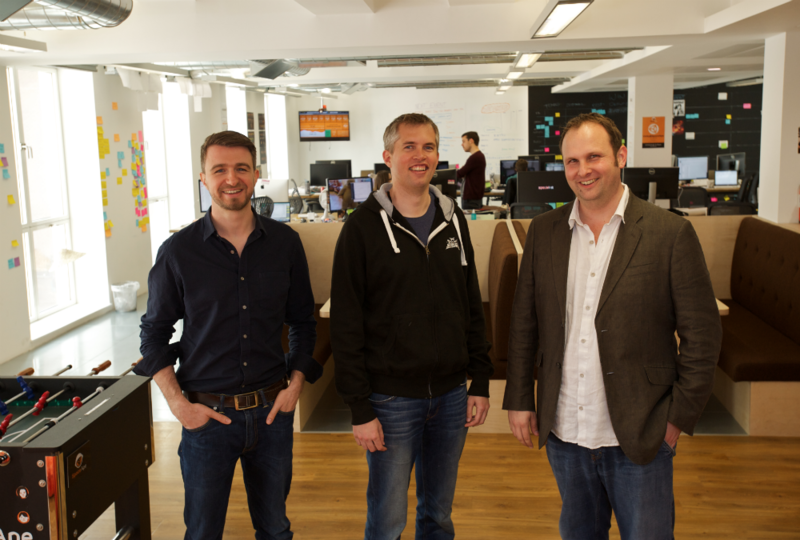 Finnish mobile giant Supercell has made a significant investment in the UK development scene, acquiring a majority stake in Space Ape Games. The Clash of Clans creator has acquired 62% of the company in a deal that has been valued at $55.8m, valuing the studio as a whole at $90m. The remaining 38% still belongs to Space Ape. 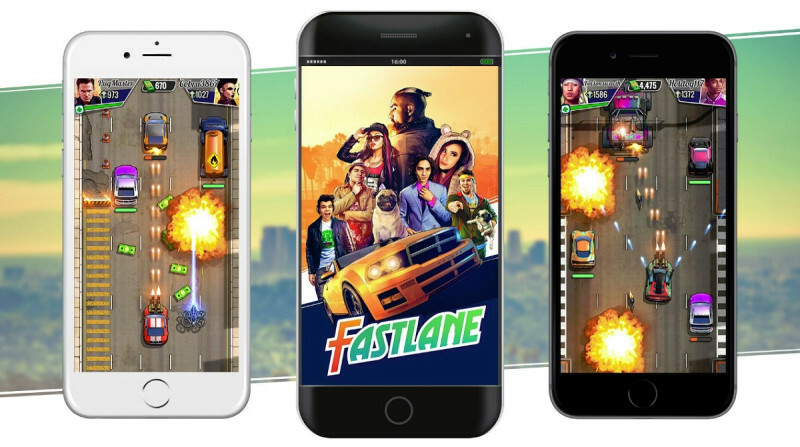 The deal has been described as a "long-term partnership", and crucially will see Space Ape continue to operate independently - albeit now with the backing of a mobile gaming behemoth. "Day-to-day, you'll see Space Ape continue to trade under our name, operate as an independent company, and make our own decisions about what games to work on, how to hire people and what our culture needs to look like," co-founder and CEO John Earner tells GamesIndustry.biz. "Supercell is a turbocharge to our business. They're going to be able to help us in some ways that are really superpowers unique to their size and stature within the games industry - be that helping us land a world-class licence that maybe we couldn't have gotten otherwise, or giving us advice in a key area they're outstanding in. We think those sort of, frankly, unfair advantages are going to take the great thing Space Ape already has going and turbocharge it." 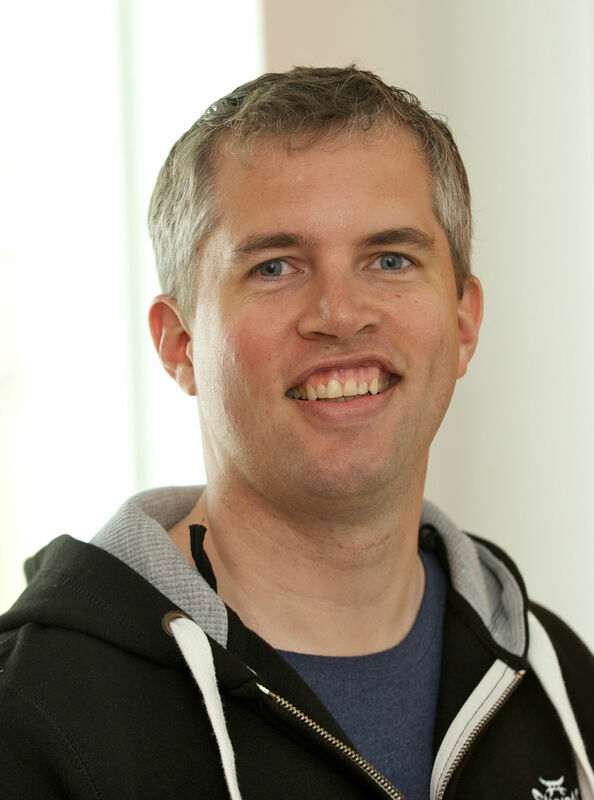 Supercell CEO Ilkka Panaanen adds: "We've known John, Simon and their team for some time now. We share their vision and passion to create games for the biggest possible audience. They want to innovate, take risks and aren't afraid to make mistakes. We also know from our own experience that this vision needs a backer who thinks long-term and is patient. And, above all, one that trusts the team and stays out of the way. "As a bonus, we've been huge fans of the UK game developer scene since the days of Commodore 64 so it's really cool to partner with a studio there." Currently, Space Ape's board of directors is comprised of Earner, his co-founder Simon Hade and representatives from the various venture capital films that have backed the studio. When the deal closes, these representatives will be replaced by three members of Supercell. While the studio will continue to operate independently and service the games it has already released, Earner believes the way it does business in the future will be significantly different: "Where things will change will be our ability to command better deals with partners, and as a company to really look way out into the distance and be less concerned with the downsides of taking risks. "We're going to get opportunities that wouldn't normally come the way of a company our size. It's a match made in heaven"
"Our partner and investor Supercell has been there, both in this life and their previous ones. They know what it's like to be a gaming company at all ends of the spectrum - not just the successful end but also the up-and-coming stage. I think you're going to see us be able to be more patient, take bigger risks, be less worried about the implications of those risks not working out, and I think we're also going to be able to get opportunities that wouldn't normally come the way of a company our size. I really think it's a match made in heaven from our perspective." Earner has long been a fan of Supercell and the way the Finnish studio is structured: famously splitting its staff into smaller teams, or cells, that can innovate and iterate quickly. With his self-confessed obsession over the firm, it was perhaps inevitable that the two studios might join forces. "Supercell is a company we've admired from day one. It has a culture that has been one of our guiding stars"
"I've had a good working relationship with several people at Supercell, including Ilkka, for years now," says Earner. "They're a company we've admired from day one, starting with the quality of the games they make but also really extending up to how they make them and the culture that they're really well known for. It's a culture that has been one of our guiding stars, in terms of how we wanted to build ourselves. "We've had a series of discussions over the past two months, their game leads met with ours, and very quickly we found we saw eye-to-eye and have a lot in common. We viewed each other as kindred companies - and at that point it all became rather easy. Normally, these sorts of decisions are challenging and difficult ones but when you've got an opportunity to enter a long-term partnership with a company you admire like we do Supercell it becomes pretty easy." Even before these regular meetings between the two studios, Supercell and its success has had a noticeable impact on the rise of Space Ape Games. The similarities between Samurai Siege and Clash of Clans are just the beginning: the UK studio operates in much the same way, inspired in part by Supercell. "We've always believed that autonomous teams make the most innovative games," Earner says. "Moreover, we've always believed that smaller teams worked better for us - just from our own experiences from [working with] larger ones. A small group of people really feels like they own the game they're working on. That passion and ownership comes out in product they make. "Seeing someone enjoy the kind of success Supercell has enjoyed these past few years on those similar theories gave us confidence that what we were doing would work"
"Seeing someone enjoy the kind of success Supercell has enjoyed these past few years on those similar theories gave us confidence that what we were doing would work. Despite the fact that, obviously, you never know [what will happen]. What we found, particularly in the last year, is that as we have made our teams even smaller, become profitable as a company and shifted our focus to innovation and taking more ambitious bets, we've seen the quality of all our work go up. Our live games operate better. Our in-development games are more innovative and creatively interesting. All around, the smaller we've made our teams, the better they've performed and I think that's where Supercell has had the greatest inspiration for us." So what does Supercell get out of all this? Being able to drop the Finnish firm's name into conversation may help Space Ape secure better deals, but one would assume Supercell isn't splashing $55.8m on the UK developer because it had cash lying around. "Supercell is clearly focused on one thing and that is making the world's biggest mobile games," Earner explains. "They're not interested in mediocre hits or small derivative products. Their investing in us and forming this partnership is a sign that they think they're going to get games like that from Space Ape. They have a long-term approach, which means maybe it'll happen this year but maybe it will happen in two or three years' time. "In Space Ape, Supercell now has a member of their team in the UK, and in London specifically, which is a wonderful talent market"
"We're excellent at live ops, we've got eight strong and independent teams with a whole lot of additional capacity to work on games. In Space Ape, Supercell now has a member of their team in the UK, and in London specifically, which is a wonderful talent market with a storied tradition in making games and I think is going to play a big part in the future of our industry." "So effectively they're going to get eight awesome game teams in a new market that are as ambitious as they are and trying to accomplish the same things they spend every day trying to accomplish." As with any acquisition of this kind, there is speculation as to whether the newly purchased partner will gain access to its parent's IP. Space Ape Games has proven it can build popular and successful build-and-battle titles like Clash of Clans, and no doubt some of the team have already begun imagining what else they could do with access to that world-conquering brand. "It's really too early to talk about using their IP. That would take a huge amount of trust that only time can create"
"It's really too early to talk about using their IP," Earner insists. "That would take a huge amount of trust that only time can create. It's certainly not the focus of the deal at this point. We're working on several games in innovative, risky categories that Space Ape believes should be huge on mobile but are not. We'll continue to do that in the future, and I think that's where the two parties are aligned. "This is less about us working on their IP or vice versa - it's more about them sharing our belief in some of the games we're working on and that the way we make games in general can make massive hits." Space Ape has made its name with the likes of Samurai Siege - "a testament to our ability to run live games for many years," says Earner - and Transformers: Earth Wars, a licensing deal that has become a major win for the studio. The latter has grown its revenue every month since launch, and in recent months has seen some of its best weeks to date. But it's these "innovative, risky" games Earner alludes to that seem to be most exciting for both Space Ape and Supercell. "To achieve our mission of making the world's most successful mobile games, we were going to have to take bigger risks. Our future lies beyond the build-and-battle genre as you know it today"
"About a year ago, we realised that as a company we can't do well by only creating build-and-battle games," says Earner. "To achieve our mission of making the world's most successful mobile games, we were going to have to take bigger risks, be more innovative and move outside of the genre. Our future lies beyond the build-and-battle genre as you know it today. "We're going to head in a number of directions. Some will be targeting similar users as those that play Transformers, some will be for entirely new users, but all of it will be innovative and risky. I think it's on that basis that Supercell now partnered with us, and it's on that basis that there's no conflict of interest. "This is a very forward-looking deal. We're going to continue to operate the games that we do, faithfully serve the players that we have, and build something bigger upon that foundation with bigger risks and bigger types of games." The first example of Space Ape's future games actually launches this week. Fastlane will be available worldwide from Thursday, May 25th and is positioned as "an arcade shooter that evokes [memories of] Spy Hunter". The title is much more casual than the studio's previous titles, as is another future product: a mobile kart racing game that Space Ape demonstrated to Supercell at GDC. Earner says there are another three games in development among his teams that are wildly different to the likes of Samurai Siege and Transformers, and claims they are all as "innovative and risk-seeking" as these two examples. "If these games don't work out, it will be because we choose to work on something even bigger - the net result of which will be a billion-dollar game"
"If these games don't work out, it will be because we choose to kill them and work on something even bigger. You're going to see that progress continue for years - the net result of which, we believe and Supercell believes as well, will be a billion-dollar game." In the official blog post announcing the deal to both staff and community, Earner reflects on Space Ape's journey so far. In doing so he mentions that "mistakes were made, mostly by me, while great games were made, mostly by you". It's an oddly humble standpoint for the head of a studio that talks of making billion-dollar games. We pressed Earner to find out which mistakes he was referring to and how he will avoid them in a Supercell-owned era. "The biggest mistake I have made as a founder is running the company too top-down in the early days," he confesses. "You can get caught in a survival trap where you're shortsighted on the games you choose to work on out of fear about not being able to pay the bills. And I don't want to belittle that fear - it's very important to be profitable. Nobody wants to work at a company where their job is at risk. "Having established that foundation of profitability, however, I think I mistakenly spent too long working on games that didn't have the potential to be top-grossing. That's something we fixed a good year and a half ago. There's nothing we're working on now that doesn't have massive potential. "With any game, I'd rather go out blazing or make a top hit than aim for somewhere in-between and settle. I look forward to the coming months and years as players and the industry see what I already know: that Space Ape is working on those sorts of games."